In celebration of Canada’s 150th birthday, InterContinental Hotels Group (IHG) launched a fun contest to find the top 150 hidden travel gems in our country. IHG sponsored this hotel stay and my participation in this campaign, but all opinions are my own. 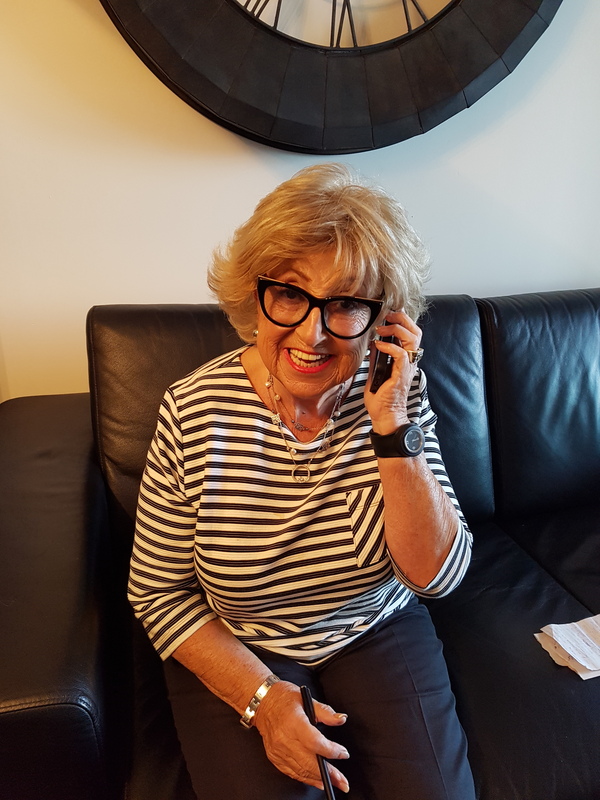 For Mother’s Day, I wanted to do something fun with my mom but sadly I didn’t have the time to get to Ottawa. I solved this problem and met my mom half way in the beautiful city of Kingston which is half way for both of us. 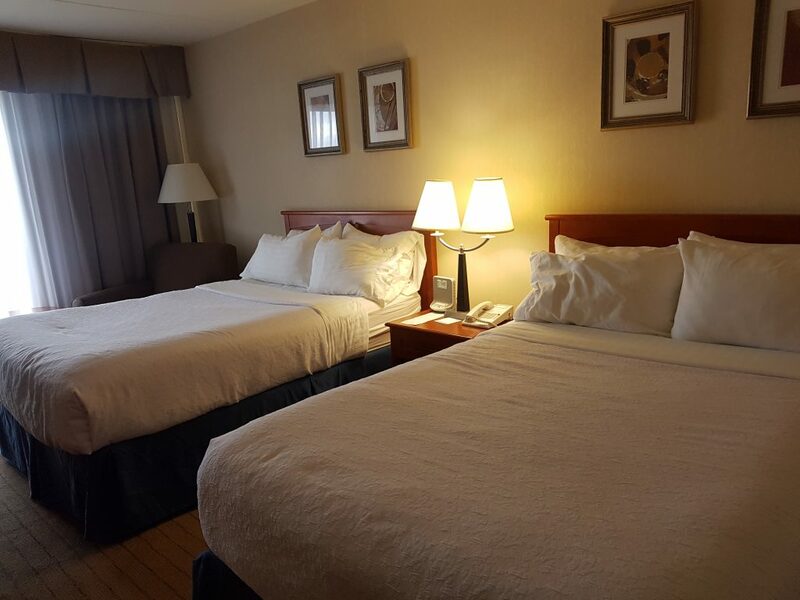 We stayed at the Holiday Inn Kingston – Waterfront which has both an indoor and outdoor pool. Sadly there was no sun. Sniff. But this gave us more time to enjoy the room! 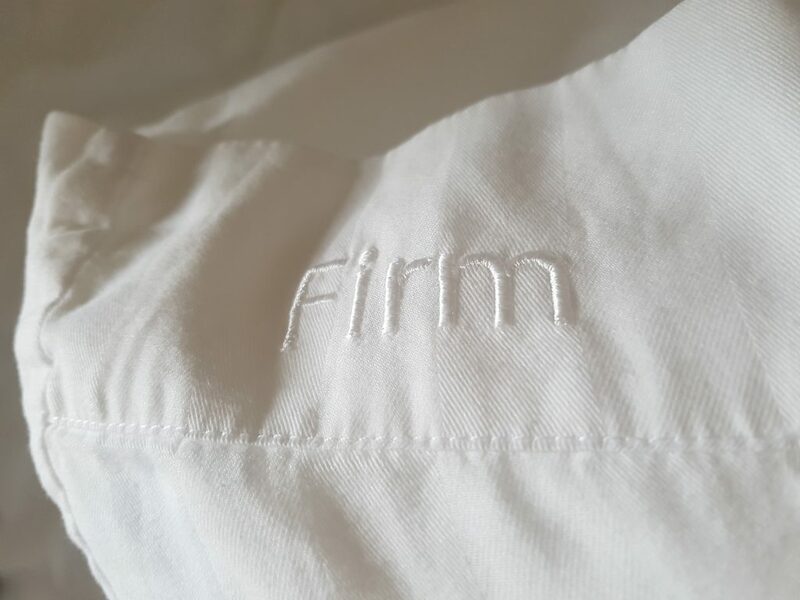 We loved the pillows, which indicated if they were firm or soft. What a great idea. 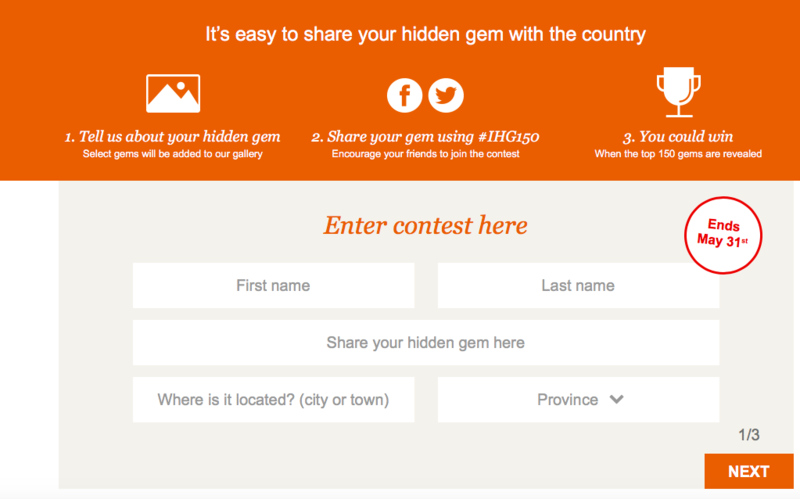 Not sure if you know this but IHG® Rewards Club is currently running a unique 150th Hidden Gems Contest!! IHG®Rewards Club will be celebrating Canada’s 150thBirthday with a Contest to Curate Canada’s Top 150 Hidden Travel Gems. The top 150 hidden gems from coast-to-coast will be selected by IHG through a contest just in time for Canada Day! Follow the three easy steps! 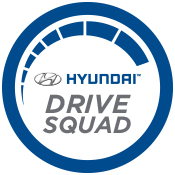 PS Love how this contest is so user friendly! 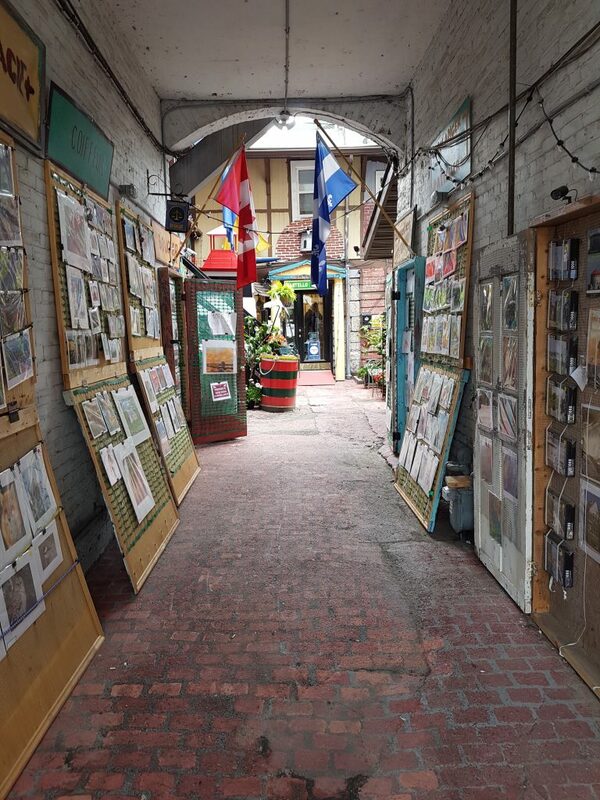 I took the time to find this this hidden gem called “Martello Alley” in downtown Kingston. Naturally I’ve submitted into this contest. Wish me luck!! Hope you get a chance to enter the contest too. Its not a surprise that IHG® Canada is a leader in hospitality, travel and leisure and the go-to destination for Canadians! 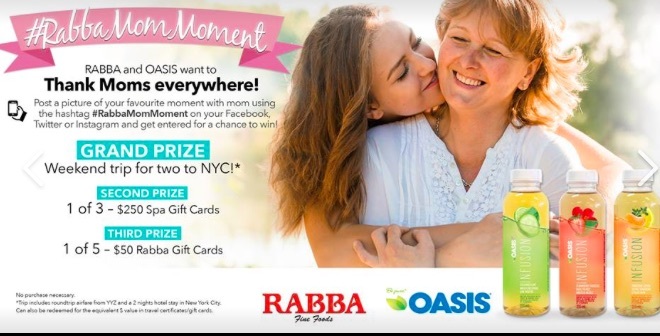 This Mother’s Day, Rabba Fine Foods has joined up with OASIS to offer mothers (and their loved ones) an opportunity to win some exciting prizes – all for sharing #RabbaMomMoments on social media. Sounds easy and sounds fun. True Story: I recently participated in a contest at a trade show and I won!! Entrants for this contest, are encouraged to showcase the realities of motherhood – happy, proud, silly, and even frustrating. Entrants who share their posts or tag three friends will receive an extra entry into the sweepstake for a possible total of three contest entries. I can definitely show case the reality of motherhood and I bet you have a few stories to share as well. Here’s a “motherhood moment” – I’m proud that my kids have found jobs. It’s not easy out there to find a job and I’m over the moon that both have found employment over the summer. Now that you have finished reading this blog post, I hope you pick up your smart phones and start to enter the contest. GOOD LUCK AND HAVE A WONDERFUL MOTHERS DAY!! Disclosure: I was compensated for this blog post however all opinions are my own. 1. Give mom the gift of a one-on -one computer lesson. Here’s a photo of my mom using my old iPhone 5. Bye Bye Flip Phone! She had one on one lessons with a friend who specializes in teaching seniors how to use smartphones/facebook/tablets etc. BEST GIFT. 2. 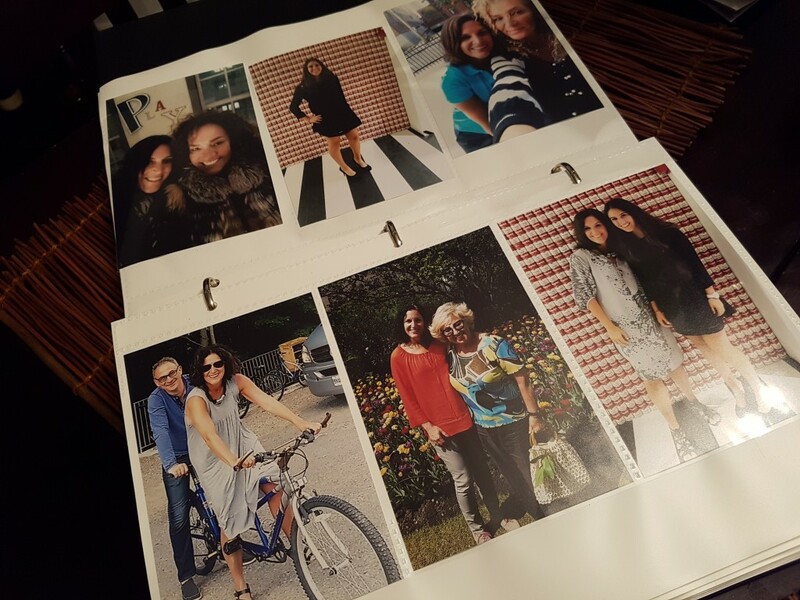 Give Mom a calendar with 12 of your favourite photos. I’m in the process of doing this RIGHT now using the new Kodak App. Oh how I love technology. 3. Give mom a new appliance from Breville. 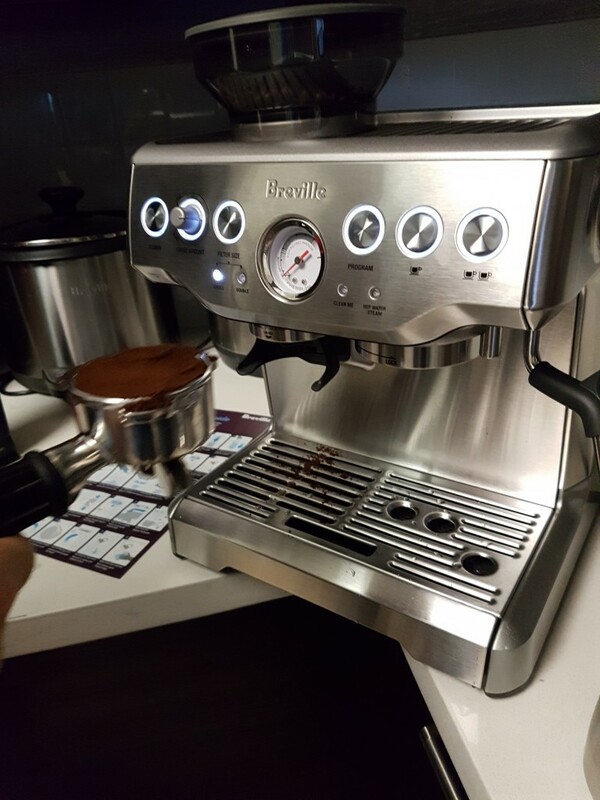 I’m in love with all my Breville appliances and she will be too! 6.. 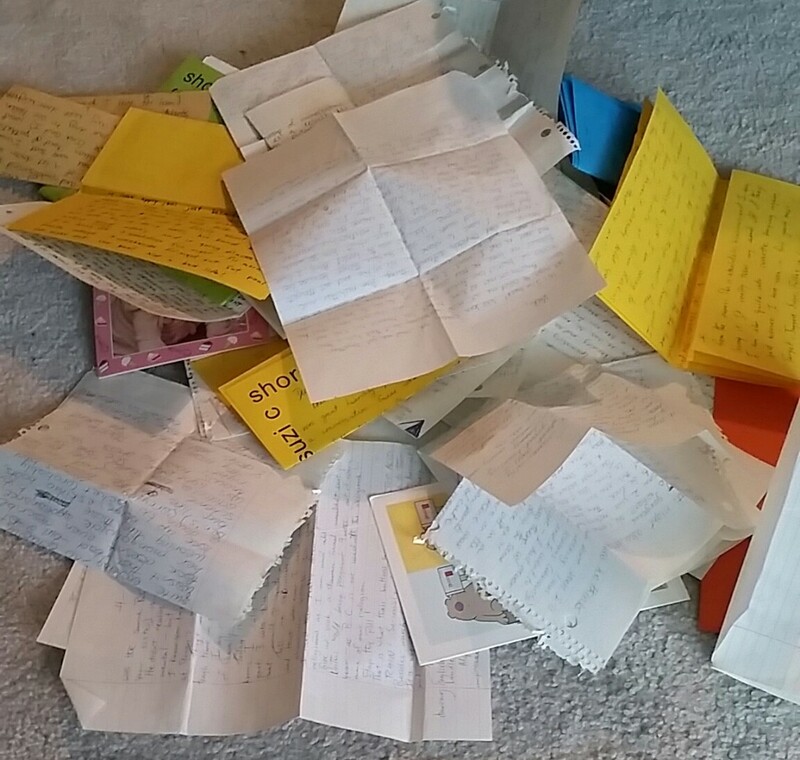 If you have old letters that she sent to you at camp…. bring them out and read them to her. Seriously, this is so much fun. 7. Head over to Etsy. There’s no shortage of unique gifts on this website. Hope these ideas were useful and have a wonderful day. What I WIll Be Eating on Mother’s Day! 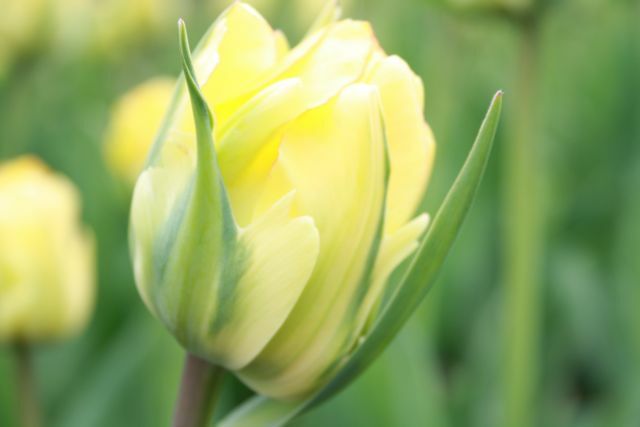 There’s lots of different ways to celebrate Mother’s Day! 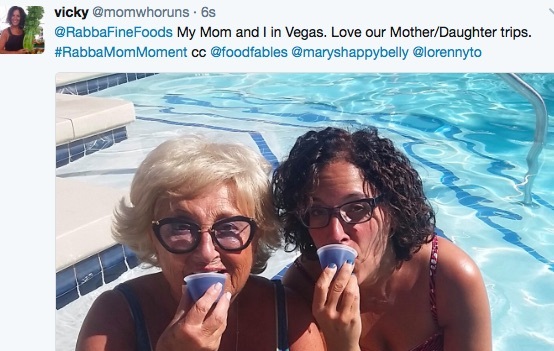 As a foodie – the best way for me to spend Mother’s Day is to be surrounded by food!!! 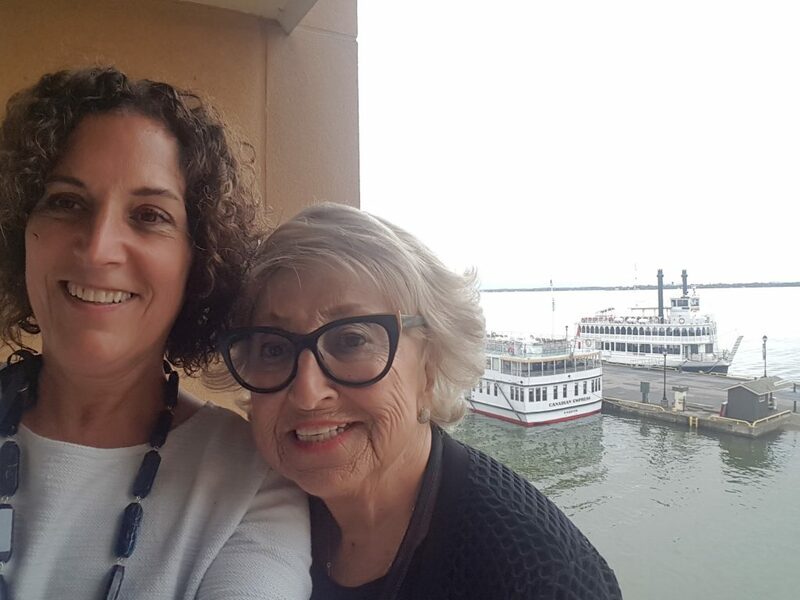 This year, I will be in Ottawa for Mother’s Day so I can celebrate this special day with my mom. She’s bit of a foodie herself – lucky me – so this schedule will be ideal for both of us. 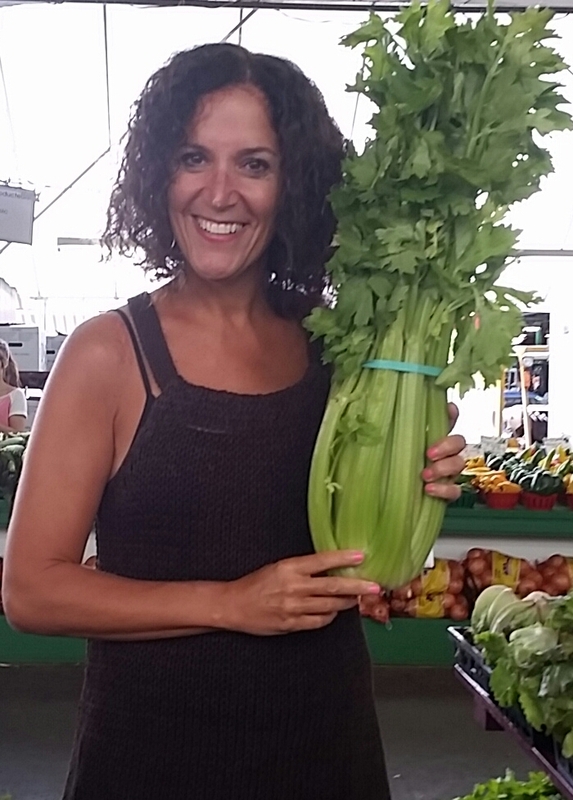 10:00 am -11:00 am Quick visit to the Ottawa Farmer’s Market! 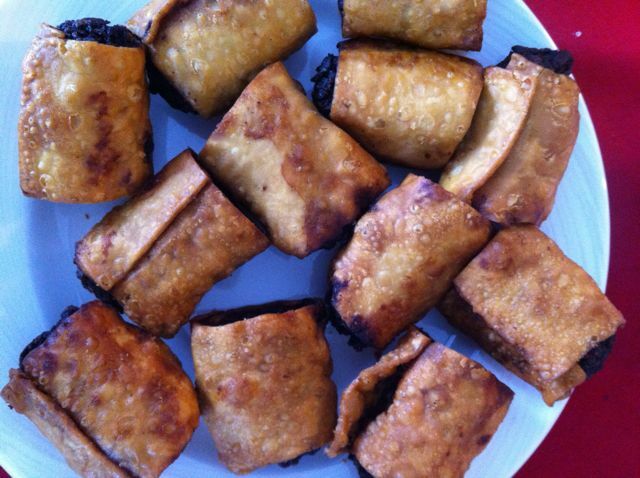 1:00 – visit Golden Palace for some epic eggrolls. 7 pm head to Lotus Pond Chinese Vegetarian (3838 Midland Ave, Scarborough) to celebrate Mother’s Day with my daughter. For dessert we will be enjoying a Cold Stone Signature Ice Cream cake. I’ve always loved ice cream cake and this will be the perfect way to end my day. We usually go to the Cold Stone that is located at 2005 Avenue Road as I use to have a store at 1648 Avenue Road. To this day, I still visit Avenue Road on a regular basis even though I haven’t had the store for 10 years. Can’t decide between the 6 inch $23.99 or the 8 inch cake ($33.99)! 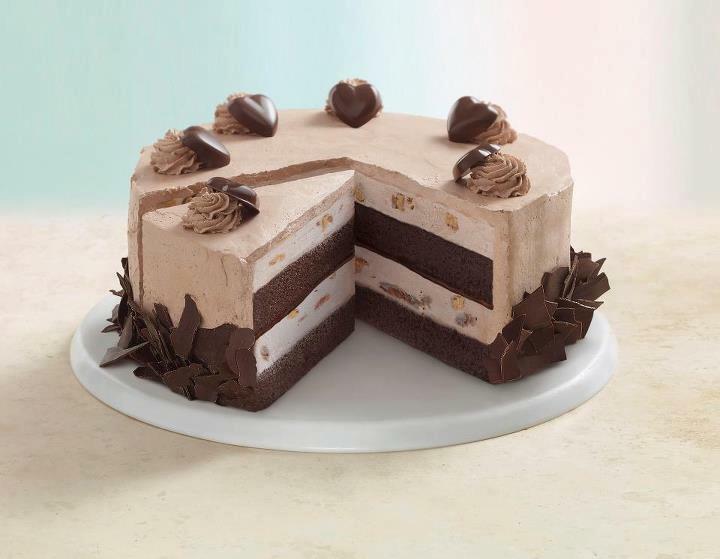 In the event that you want to order a Cold Stone Ice Cream Cake for ANY occasion, simply call 647 330-TIMS. 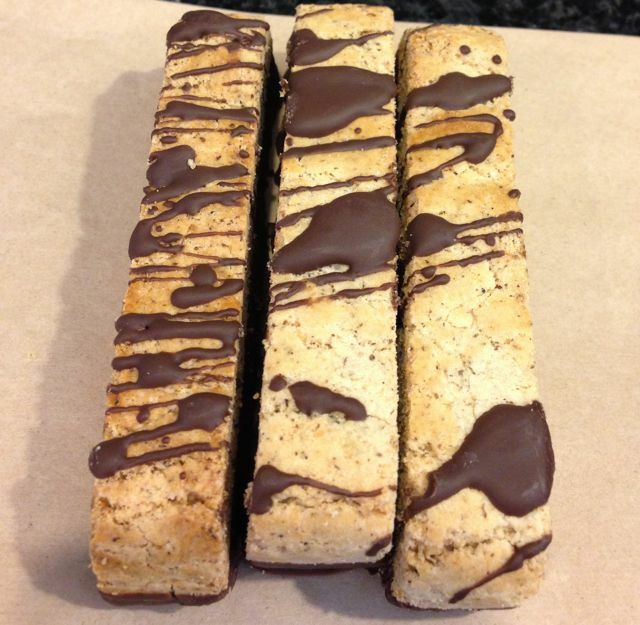 Cake orders are usually produced within 24hrs. I’m SO excited to be celebrating Mother’s Day in Ottawa that I’m going to be giving away a 6 inch Cold Stone Ice Cream Cake to one lucky reader. All you have to do is answer this question. Visit the Cold Stone website and leave a comment below, which flavour ice cream cake you would like to win. The contest will run from May 7 to May 12th. The winner will be selected using random.org. The winner will have 7 days to contact me, otherwise another winner will be selected.